Welcome to the Village of Recluse. 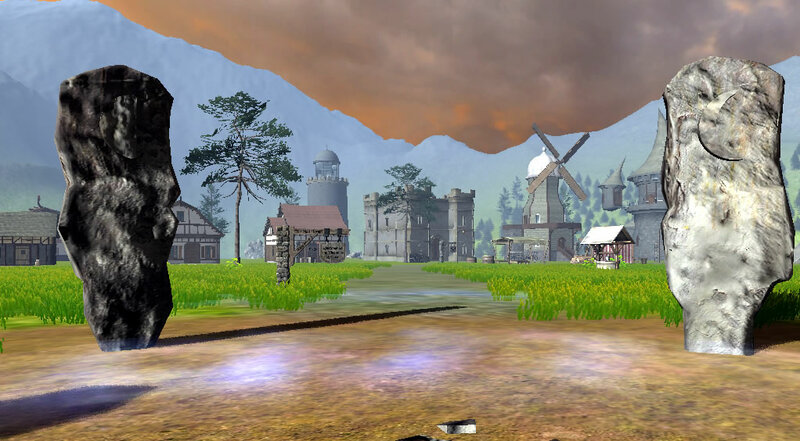 A Shroud of the Avatar inspired scene I created on March 18th, 2014 to give players an opportunity to explore the homes types that are available at the various pledge levels. Back then, the game servers were made available to backers for only a few days out of each month. By creating and hosting my own scene, I was able to make an area available to the public 24 hours a day, 7 days a week. Although this particular scene was not designed by Portalarium, the housing assets used in the scene are, and represent what you will receive at the respective pledge level, or through Add-On Store purchases! So go ahead and take a self-guided tour of the Village of Recluse.